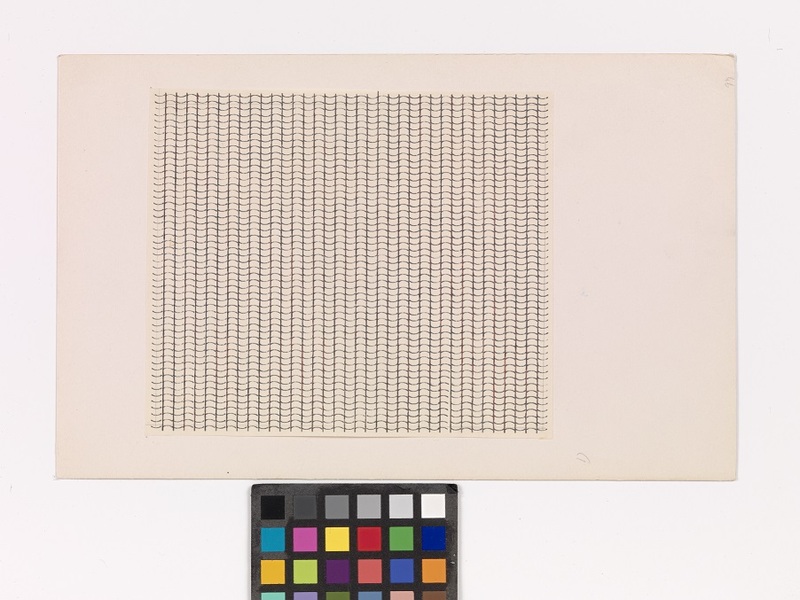 Anni Albers (b. 1899, Berlin, DE d. 1994, Connecticut US) lived and worked in Germany and the US. She studied painting with Martin Brandenburg and also enrolled at the Bauhaus, studying under Paul Klee. After harrassment by Nazi authorites forces the Bauhaus to close in 1933, Albers and her husband relocate to the US, teaching at Black Mountain College, North Carolina. She became a US citizen in 1939. Received the American Craft Council's Gold Medal (1981); Awarded an honorary doctorate from the Royal College of Art, London (1990). Selected solo exhibitions include: A Beautiful Confluence: Anni and Josef Albers and the Latin American World, Mudec, Museo delle Culture, Milan (2015), Anni Albers: Design Pioner (touring), Ruthin Craft Centre, Wales, Mead Galery, Warwick Arts Centre, Coventry (2010-11); Anni Albers- Truth to Material, Design Museum, London (2010); The Woven and Graphic Art of Anni Albers, Renwick Gallery, Washington D.C. & touring to Smithsonian Institution, Washington, Yale University Gallery, Yale (1985); Anni Alberts: drawings and prints, Brooklyn Museum, New York (1977); and Anni Albers Textiles, Museum of Modern Art, New York (1949). Selected group exhibitions include: Utopia Matters: from Brotherhoods to Bauhaus, Deutsche Guggenheim, Berlin & touring to Peggy Guggenheim Collection, Venice (2010); Prints from Tyler Graphics, Walker Art Center, Minneapolis, (1984); Art off the picture press, Emily Lowe Gallery, Hofstra University, Hampstead, New York (1977); and Technics and creativity: Gemini G.E.L., Museum of Modern Art, New York City (1971). Albers was a prolific writer, publishing many texts including: On Designing, Pellango Press, New Haven (1951) and On Weaving, Wesleyan University Press, Connecticut (1965). 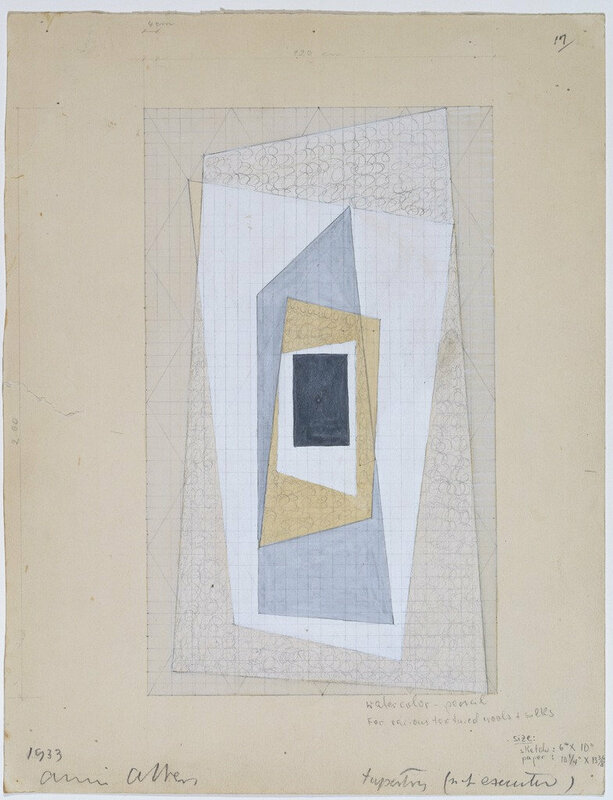 Albers' estate is represented by Alan Cristea Gallery, London.